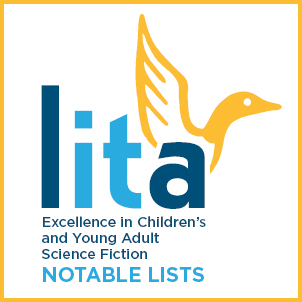 The three lists focus on books that use science and technology not fantasy and magic. 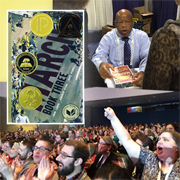 Photos from an exhilarating weekend at the 2017 ALA Midwinter Meeting in Atlanta, GA.
John Lewis's "March: Book Three" took four Youth Media Awards, including the Printz, while Javaka Steptoe's "Radiant Child" won the Caldecott, and Kelly Barnhill's "The Girl Who Drank the Moon" took the Newbery. 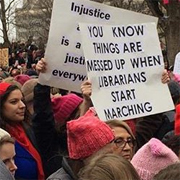 Across the country, librarians participated in the January 21, 2017 Women's March, which coincided with the ALA Midwinter Meeting. A full list of the 2017 ALA Youth Media Awards winners and honorees. 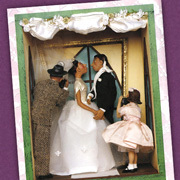 We can’t wait to see you later this week in Orlando! 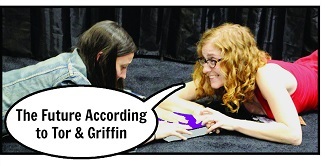 Stop by the Macmillan Adult (Griffin Teen & Flatiron Books YA) booth #2115 and RSVP to all of our events! 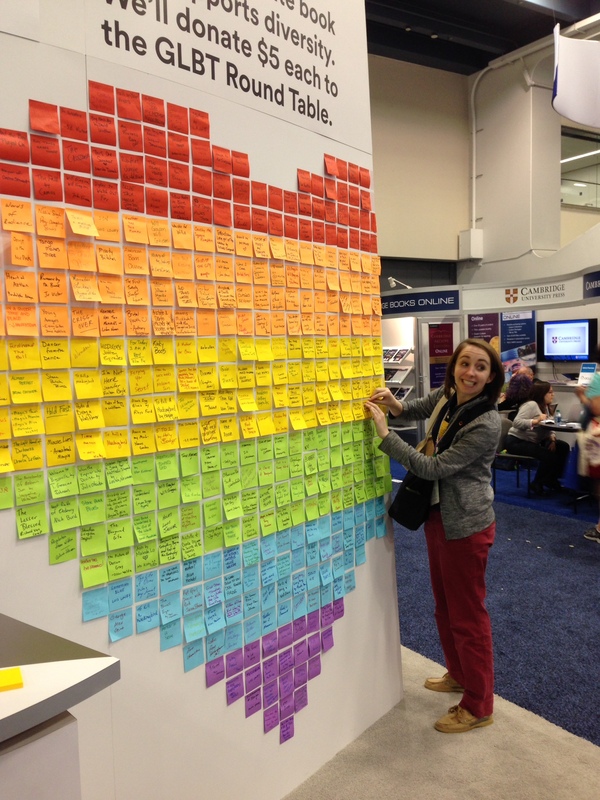 Attendees describe how they’d like ALA and other big conferences to evolve—and why smaller and virtual gatherings can be fine alternatives. 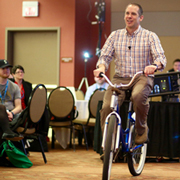 Pack smart, get engaged, take charge of your PD. 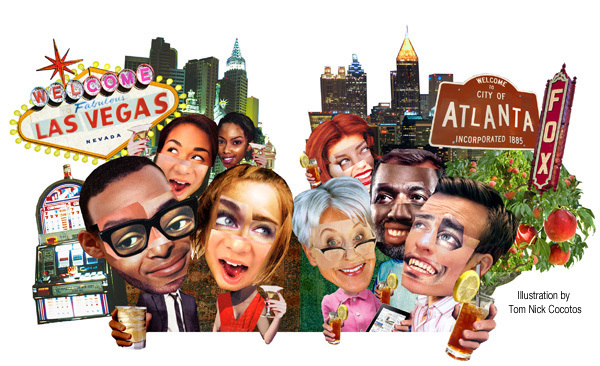 These and other tips will help you get the most out of this year's ALA Annual Conference. 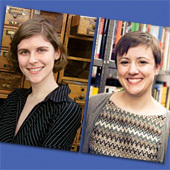 Join Macmillan Library at BookExpo America in Chicago. The 2016 Newbery Medal-winning author Matt de la Peña, and other Latino authors/illustrators honored at this year’s Youth Media Awards, have long been recognized by the Pura Belpré Awards, celebrating its 20th anniversary. 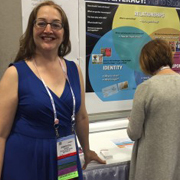 Librarian Lucia Acosta set out to find new books that had a Hispanic character, theme, or backdrop on the floor of the American Library Association’s Midwinter Meeting in January 2016. 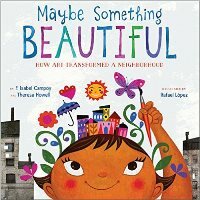 Check out these selections of titles by and about Latinos, publishing this spring. 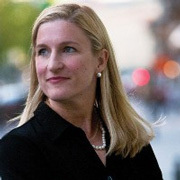 Ruta Sepetys on Unearthing an Untold Story of World War II in "Salt to the Sea"
SLJ caught up with the acclaimed YA author of Between Shades of Gray to discuss her latest historical fiction novel about the world’s worst maritime disaster, Salt to the Sea. 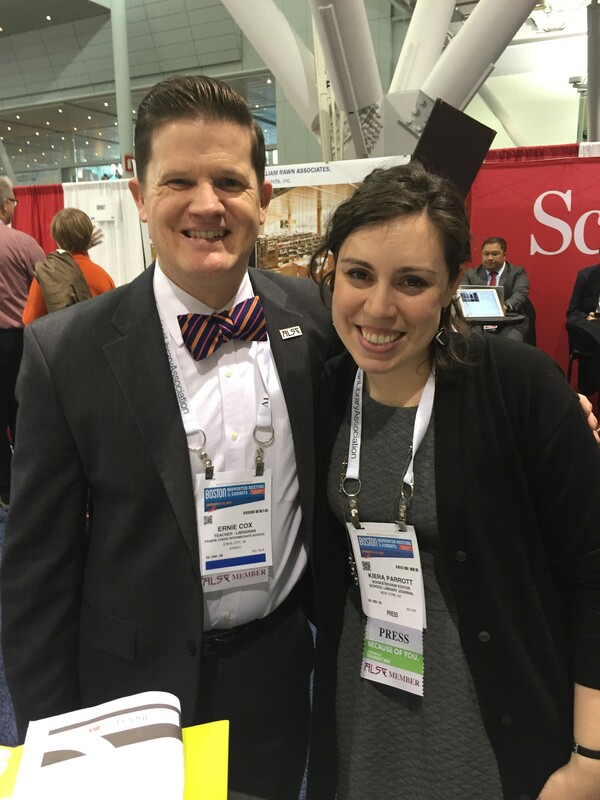 Snapshots from the festivities during this year's Midwinter Meeting in Boston. 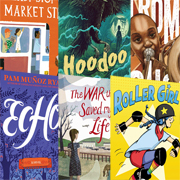 The winners are in, and once again, SLJ predicted many of the top Youth Media Award winners and honor books. 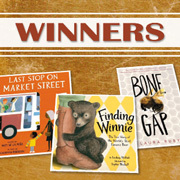 Check out the reviews of all the winning and honor books. 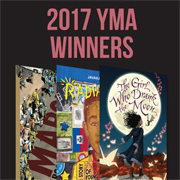 There were cheers, tears, and mouths agape at ALA Midwinter, as Matt de la Peña's "Last Stop on Market Street" and Sophie Blackall's "Finding Winnie" took the top spots in the YMA lineup. 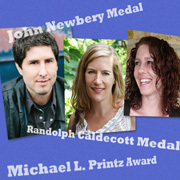 Laura Ruby's "Bone Gap" won the Printz. A full list of the 2016 ALA Youth Media Awards winners and honorees. 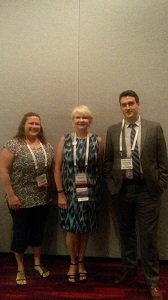 The finalists in the 2015 CYBILS awards have been revealed; YALSA is accepting proposals for its YALSA Symposium. 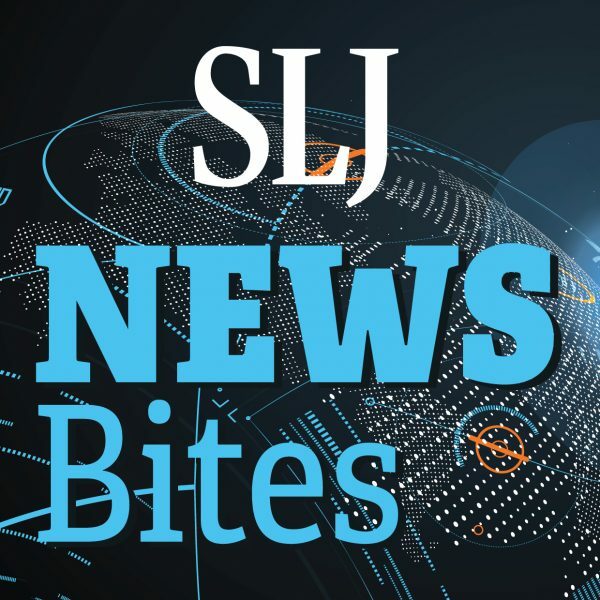 These tidbits and more in the first SLJTeen news roundup of 2016. This year marks the 20th presentation of the Pura Belpré awards, and a huge celebration is being planned for ALA Annual in June. Tim Wadham takes stock of the trends and themes that recur in the winning titles, all of which affirm the Latino cultural experience. One librarian's year of reading, sharing, and secret keeping while serving on the 2016 Newbery Award Committee. 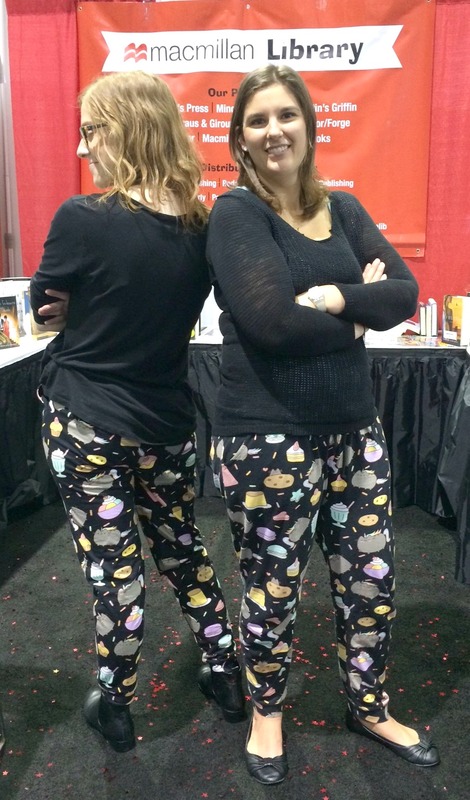 SPONSORED: Join Macmillan Library (Booth # 1806) @ ALA Midwinter 2016! SPONSORED: Macmillan Library shares which titles and YA authors ALA Midwinter 2016 attendees have to look forward to at the booth. 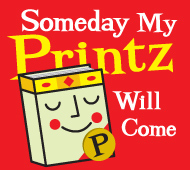 Celebrating its fifth year, SLJ’s “Someday My Printz Will Come” blog has returned. 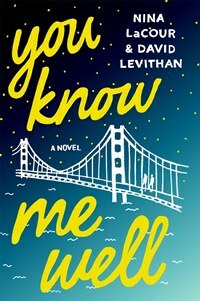 It will continue to speculate about possible contenders for YALSA’s Michael L. Printz Award while even adding a few podcast episodes liven up the discussion. 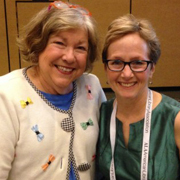 Award-winning author/illustrator Melissa Sweet discussed her researching process, and literacy powerhouse Judy Cheatham described large-scale literacy interventions in schools during the standing-room-only ALSC Charlemae Rollins President’s Program at the 2015 ALA Annual Conference. 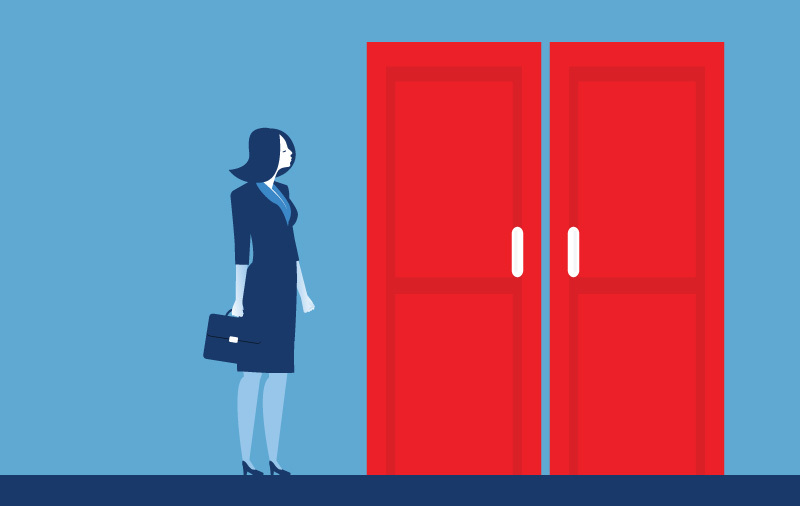 A school librarian teaches young students how to analyze persuasive advertising strategies by looking at gendered earplugs, chain-store clothing ads, and other product pitches. 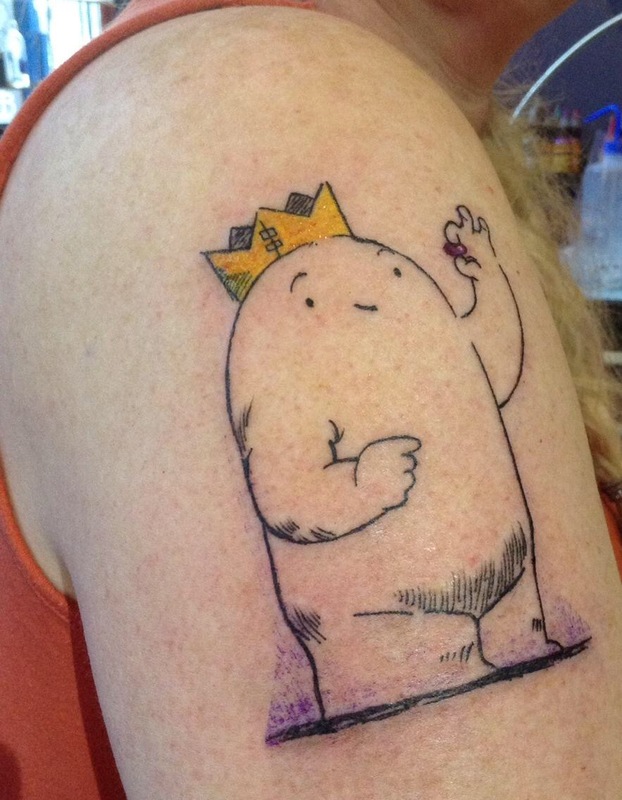 Following the Youth Media Awards in January and the conclusion of the ALA Annual Conference in San Francisco, several librarians and fellow book-loving industry folk cemented their love of the winning and honored titles by getting Caldecott-themed body art. 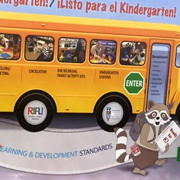 Early Learning and "Law & Order"
Greater outreach and a holistic approach to early learning characterizes initiatives such as Too Small to Fail, which seeks to place literacy-positive images in prime-time TV shows. 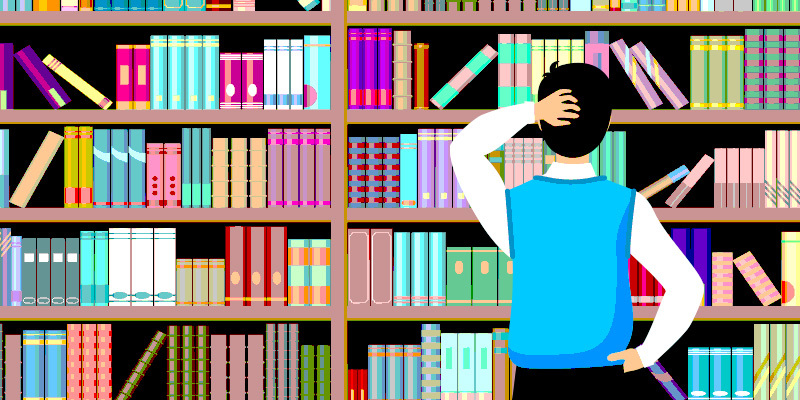 A far-reaching outward focus is taking hold in library programs as well. 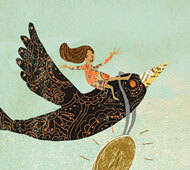 Kids can apply for Summer of Creativity Grants by August 10. The International Latino Book Awards honored 246 artists and book creators during the American Library Association’s Annual Conference on June 27. Penguin and Listening Library present LGBTQ audiobook resources; and more industry news. 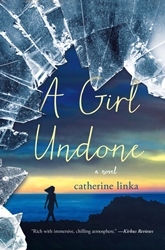 Download this handy guide to free advance reading copies and author signings at ALA Annual. Even #ALALeftBehind librarians will want to check out the listings of buzz-worthy titles coming out in Summer and Fall 2015. 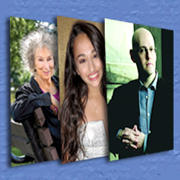 Macmillan (Adult) invites librarians attending the 2015 ALA Annual Meeting in San Francisco to visit their booth (#1009) and attend teen-friendly and YA-focused events. NOTE: This content was sponsored and contributed by Macmillan. 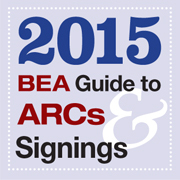 Sign up for SLJ's guide to advanced readers copies and author signings at BookExpo America 2015, May 27-29. 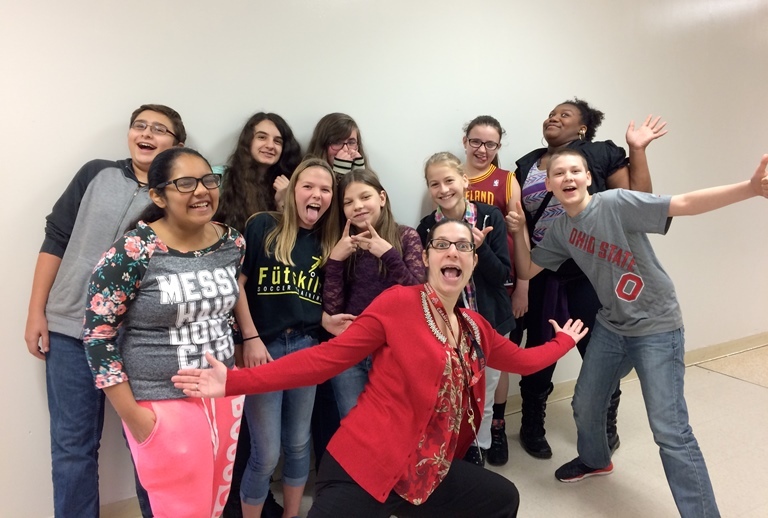 Librarian and critic Nina Lindsay unpacks the 2015 Youth Media Awards. 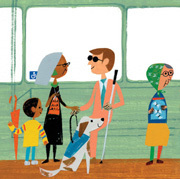 Diversity was the hallmark of this year's top honors in children's literature, pushing boundaries of content, form, and style. Is this a harbinger of real change? 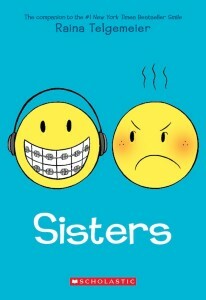 Talia "The Terror" Sherer (St. Martin's Griffin) and Ali "The Alien" Fisher (Tor Teen & Starscape) have confirmed that the rumors are true—they're back in action for a one-time-only no-holds-barred reunion book buzz. NOTE: This content was sponsored and contributed by Macmillan. 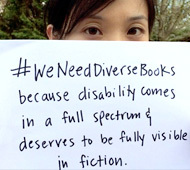 The collaboration between We Need Diverse Books and School Library Journal will involve a variety of initiatives concerning diversity in children’s literature, including an event during the 2016 ALA Midwinter Meeting. 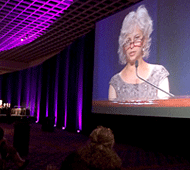 At the Printz Award Ceremony and the Newbery-Caldecott Banquet, the authors' acceptance speeches ranged from moving to side-splitting, and the enthralled audience was dressed to the nines. The loss of a giant in the field, Walter Dean Myers, is juxtaposed against the ongoing tension around print/digital and our popular feature on music’s role in early learning in our top 10 stories of the past week. 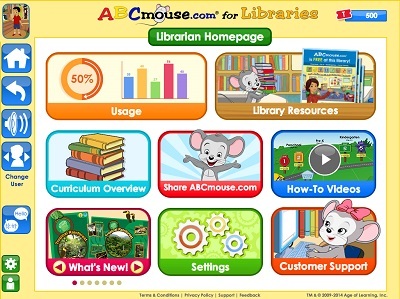 On June 26 at ALA, Age of Learning launched ABCmouse.com for Libraries, a fully featured, free-for-libraries version of ABCmouse.com Early Learning Academy, its award-winning online curriculum used by millions of children as part of their series of Education for Access Initiatives. At the ALA conference on June 30, over 200 youth librarians spent an hour and a half listening to three dynamic presentations during ALSC President's Program, "The Ripple Effect: Library Partnerships that Positively Impact Children, Families, Communities and Beyond." 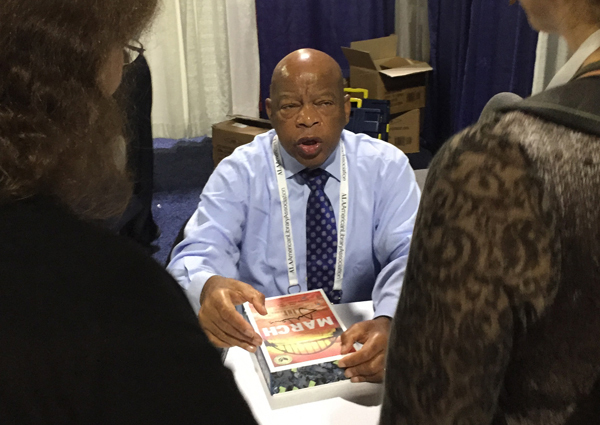 The 2014 American Library Association (ALA) annual conference in Las Vegas this week set the stage for Banned Books Week, scheduled for September 21-27, 2014. This year, Banned Books Week will shine light on banned and challenged comic books and graphic novels. On the show floor, the Comic Book Legal Defense Fund (CBLDF), which provides legal support and expertise to readers, authors, and librarians, debuted a new handbook offering rundowns of commonly challenged comic titles, myths about banned books, and ideas for programming around Banned Books Week. 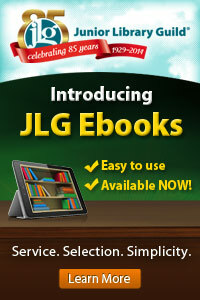 On June 26 at the American Library Association conference in Las Vegas, Junior Library Guild will release a new ebook product, JLG ebooks, for libraries across the country. 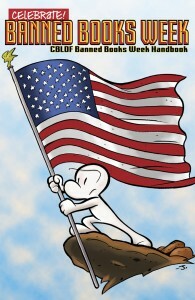 This year, the industry trade show Book Expo America (BEA) opened its doors to non-industry types, giving readers one day to flood New York’s Javits Center and connect with literary superstars at BookCon, a fan-driven event that grew out of the previous years’ Power Readers Day. 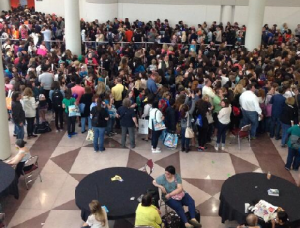 While BookCon was a hit with many, bringing thousands of readers out to fill the show floor and rub elbows with their favorite authors, the event was not without some hiccups. Changes are already in store for next year’s iteration. 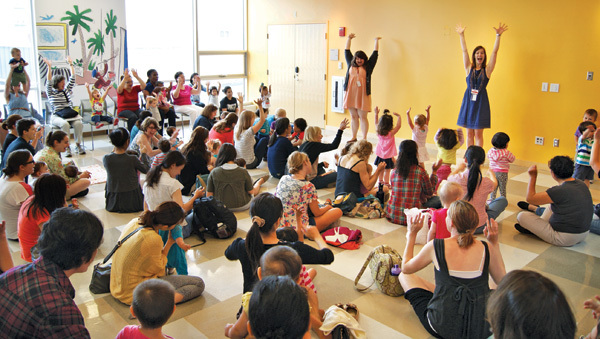 SLJ's session picks for these two key professional development gatherings. 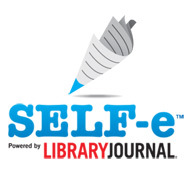 BiblioBoard® and Library Journal (LJ) have partnered to launch SELF-e™, an ebook discovery service connecting self-published authors with public libraries and their patrons. You've been preparing all year for this moment: The announcement of the American Library Association Youth Media Awards. Grab some coffee and join the fun by tuning into SLJ’s first-ever pre-game show (#sljpregame), streamed live via Google Hangout at 7:30 a.m. EST on January 27. 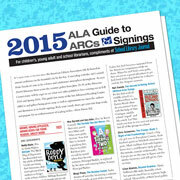 Before making your plans for 2014 ALA Midwinter, be sure to check out SLJ's ARC's & Signing Guide.